A 49-year-old man was treated for non-life threatening injuries after being stabbed in Brockton, Massachusetts Friday night. According to police, they were called to 265 North Pearl Street just before 7 p.m. Friday for an assault and battery with a dangerous weapon. When police arrived, they found the victim on the side of the building where Frank's Restaurant/Foxy Lady is located. 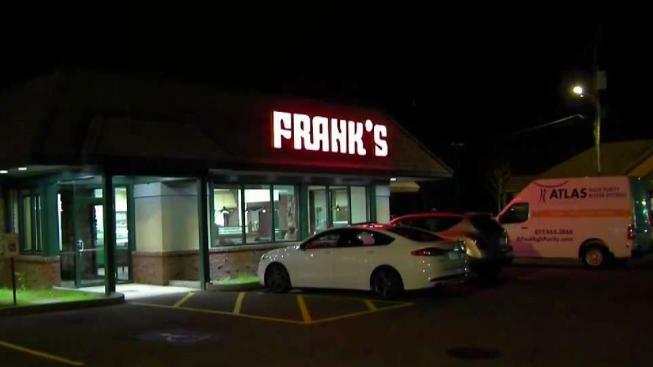 The victim, a Frank's employee, was being helped by friends and coworkers. The victim described the suspect as a white male approximately 5'8" wearing a gray sweatsuit. State Police and Brockton Police are searching for the suspect. Investigators are continuing to interview witnesses and search for the suspect.